Get inspired by the summer landscape by making your eyeshadow looks match! 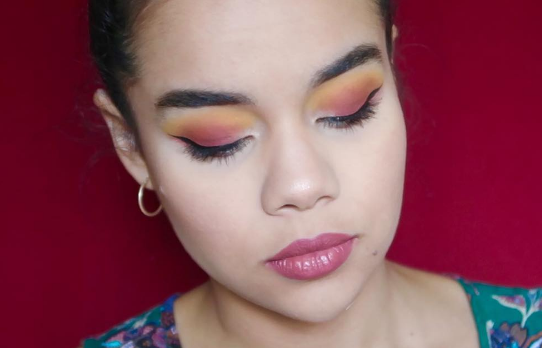 This buzzing celebrity beauty trend involves using sunset tones for a bold style. Selena Gomez and Hailey Baldwin have been seen trend-setting this make-up look. 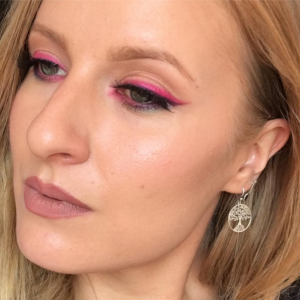 Although the two stars have been seen with bright pinks for their interpretations of the style, there are many ways to achieve this beauty trend! Check out these celebrity beauty tips so you can have sunset eyes, too! 1. Hot Pink Sunset Eyes: Use a creamy hot pink eyeliner on the tops of your eye lids and extend for an winged look. Add the eyeliner to the bottom of your eyelid and then coat your lashes with your choice of mascara. 2. Natural Blush Pink Sunset Eyes: Find light pink eyeshadows with glitter and without glitter. Apply a non glittered pink eyeshadow to both eyelids. For the bottom of your eyelid, apply the glittered pink eyeshadow. Apply a brown mascara for a natural look that you can wear for a date night! 3. 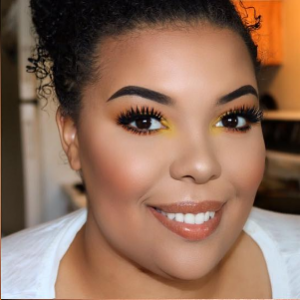 Light Orange and Yellow Sunset Eyes: Accent brown eyes with the pop of light shades of light orange and yellow. First apply the yellow to the tops of your eyelids, then blend in your desired amount of orange shadow. To make your look extra bold, apply yellow eyeliner around your eye ducts. 4. Coral Pink and Gold Sunset Eyes: Apply a fiery coral pink eyeshadow and streak the color against your brow bone. Take a shimmery gold eyeliner and apply the liner around your tear ducts. 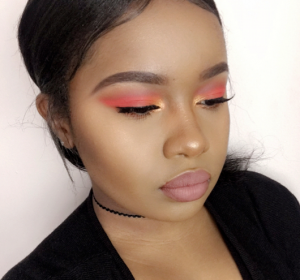 This look is sure to wow your make-up loving friends! 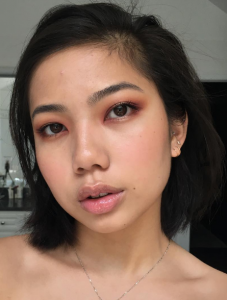 Have you seen other celebrities wearing this look? Tell us in the comments!